The ASCE Dream Big DVD campaign is sweeping the nation, but the clock is ticking. 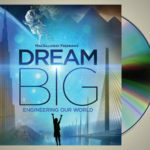 ASCE members can give $5 to place a Dream Big educational toolkit in the school of their choice. The $5 price (including shipping) is good for preorders only, though. After Aug. 1, the price of educational DVDs rises to $19.99 plus shipping. 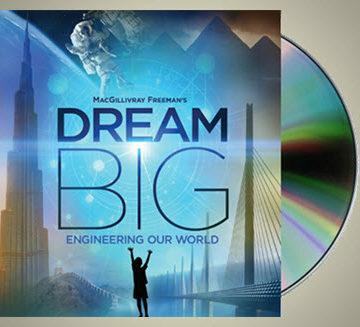 So, with about half of U.S. public schools covered and about half still needing DVD toolkits, ASCE is aiming to make this the Summer of Dream Big. • To make a general contribution to the campaign, visit EngineersDreamBig.org/General-Contribution. You can track the campaign progress and see which parts of the country still need to Dream Big through the Summer of Dream Big map. Dark blue indicates areas where all K-12 schools are covered. Turquoise indicates areas where all middle and high schools are covered; elementary schools still need Dream Big educational toolkits. Light blue indicates areas where all high schools are covered; elementary and middle schools still need toolkits. Hallelujah! 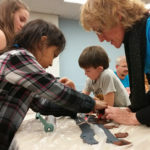 The Dream Big Kits I ordered in June of 2018 for our local District’s three Elementary Schools and lone Middle School finally arrived on January 29th, 2019. Well, three of the four kits arrived today. I assume the last kit will arrive in the mail within a day or two. I still don’t understand why it took so long for these kits to arrive but at least the Teachers will be able to use then for the Second Semester of the school year. Hi! I saw the film at the US Space and Rocket Center this past summer and I cannot wait to show it to my middle schoolers! I have a copy coming to me but I was wondering if you’d be able to tell me if there is anything else that comes in the “toolkit” like engineering challenge ideas or lesson plans. Hi Erica, glad you enjoyed the film! The toolkit includes the complete educator’s guide with lesson plans for K-12, along with downloadable handouts and bonus content including short educational and inspirational videos to help get students excited or to delve more deeply into some of the topics. We will begin distribution in November. It’s now on Netflix, and has an educational license, so teachers who are able to access Netflix are legally able to show it to classrooms. 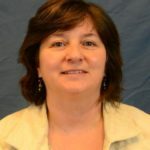 I am an educator in a middle school, and teach engineering and technology as a part of the science curriculum. We do not have a copy of the DVD and educator toolkit in my school, although I see from the map that Massachusetts is supposed to be covered. How can I get one? If your school is on the list on the website then you will get a copy, provided by the Boston Society of Civil Engineers and ACEC. How do you get a kit to give to a particular school? If you go to https://www.engineersdreambig.org/ you can search by school in the upper right corner. Thanks!